Visit the Sterling Farms Golf Shop and you can be sure of two things: First, you won’t find better pricing on a wider range of name-brand golf clubs and equipment - just compare our prices to the major off-course retailers for yourself. We price directly off the websites. And second, Sterling Farms is a golf facility committed to helping you learn how to play the game and have fun while you do it – whether you’re a beginner just starting out or a single digit handicap looking for ways to shave a few more strokes off your score, come experience a club fit at our state of the art fitting studio. Our experienced clubfitters use the best Trackman technology to fine tune your fit and offer many shaft combinations not available elsewhere to maximize your performance. We can also help you improve your short game, specifically your putting, with instruction and custom fitting with our AimPoint Certified Instructor. Or if you just want a professional to help you finalize your selection of a stock club after trying our Demo clubs, we can help with that too. Stop by our golf shop for information on upcoming "Demo Days" where you can try all of the major manufacturers' product. Our equipment pricing policy and our team of LPGA/PGA Professionals and Club Fitters are your guarantee that we are serious about helping you improve your game. 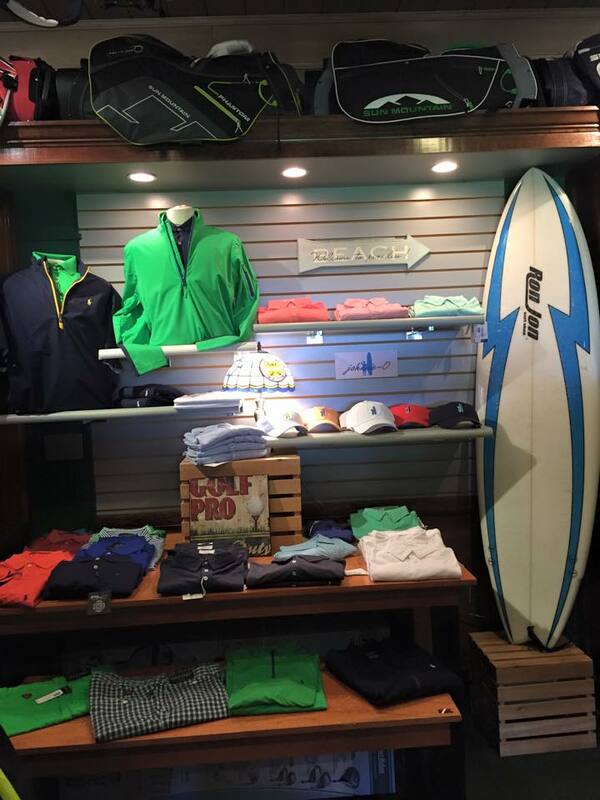 One look at the extensive collection of selected casual clothing fashions in the Men’s Pro Shop at Sterling Farms tells you this is a shop committed to making sure you’re ready for any setting – on the course or at the office on casual Friday. Choose from Nike, Puma, Greg Norman, Adidas, Polo RLX, Dunning or Johnny- O for a style that will hold up in any business or social encounter. These top brands at very competitive prices offer you quality design in a variety of colors, styles, and fabrics that deliver superior value. Once you’ve decided on a style that suits your taste, select a fine leather belt to tie everything together. Finish it all off with a brand new pair of golf shoes from our large collection that is both trendy and varied and includes well-known names like FootJoy, Nike, Ecco, Ashworth, and Adidas. 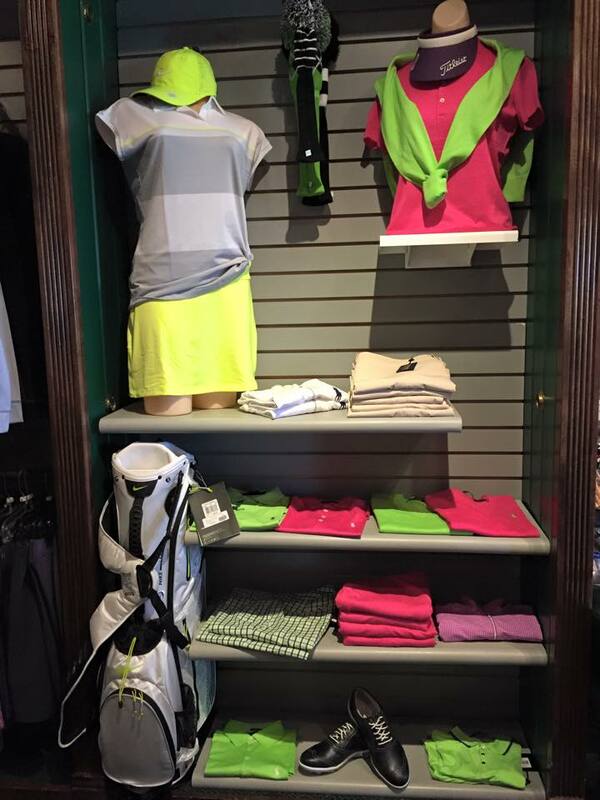 Strolling through the Ladies Pro Shop at Sterling Farms is like a walk down Designers Row. The main difference is that we don’t have “designer” prices on the tags. We have carefully chosen a variety of top designers so you can look your best. If the outing calls for the latest upscale trend, you can select something for the occasion from our Polo, Puma, Nike, Adidas, N'Vo, Bermuda Sands, Bette & Court and Cutter & Buck lines to help you dress for the part. Not only do we offer quality, we carry a full range of clothing from shorts, capris, skorts and tops to sweaters, vests and outerwear. A wide range of accessories such as hats and belts will put just the right accent on your next casual outing or club appearance. And don’t forget a new pair of shoes. Choose from a variety of styles and brands including FootJoy, Ecco, Adidas, and Nike.